The East Yorkshire Regiment was an infantry regiment of the line in the British Army, first raised in 1685 as Sir William Clifton’s Regiment of Foot. It saw service for three centuries, before being amalgamated with the West Yorkshire Regiment (The Prince of Wales’s Own), becoming The Prince of Wales’s Own Regiment of Yorkshire in 1958. Subsequently, the regiment was one of the Yorkshire infantry regiments which amalgamated to form the Yorkshire Regiment (14th/15th, 19th and 33rd/76th Foot) on 6 June 2006. Raised in 1685 in Nottingham by Sir William Clifton, 3rd Baronet, it was originally, like many British infantry regiments, known by the name of its current Colonel. In 1751, when the numerical system of designation of Regiments of Foot was adopted, it became the 15th Regiment of Foot and in 1782 the 15th (The Yorkshire East Riding) Regiment of Foot. With the Childers Reforms of 1881, it became The East Yorkshire Regiment, the County Regiment of the East Riding of Yorkshire, and in 1935 was renamed The East Yorkshire Regiment (The Duke of York’s Own), after its Colonel-in-Chief. In 1958, it was amalgamated with The West Yorkshire Regiment (The Prince of Wales’s Own), to form The Prince of Wales’s Own Regiment of Yorkshire. It fought in the War of Spanish Succession, the Jacobite Rising of 1719 and in North America and the West Indies during the War of Jenkin’s Ear, Seven Years’ War and the American Revolutionary War including battles such as Capture of St. Lucia in 1778. It again fought in the West Indies during the Napoleonic Wars, taking part in the invasions of Martinique (1809) and Guadeloupe (1810). The Regiment spent most of the 19th century on garrison duty, both at home and throughout the Empire. The 1st Battalion was shipped to New Brunswick in 1862 at the time of the “Trent Affair”, when Britain and the United States of America came close to war. The 2nd Battalion fought in the Second Anglo-Afghan War and the Second Boer War. In World War I, sixteen hostilities-only battalions were formed, which fought on the Western Front, at Gallipoli, in Macedonia and Egypt. In the Second World War, six hostilities-only battalions were raised. The Regiment fought in the Battle of France and was evacuated at Dunkirk. It took part in the Invasion of Normandy, the liberation of Western Europe, the North African Campaign, the Invasion of Sicily and the Burma Campaign. The Regiment was in Palestine at the end of the British Mandate and took part in the Malayan Emergency in 1953-1956 before returning to Germany as part of the British Army of the Rhine. 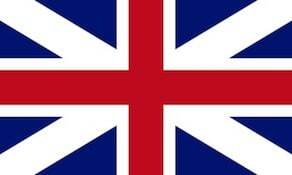 In 1958, it returned to Britain for amalgamation.